Home / Red Dead Redemption 2 / How to dodge roll in RDR2? In Red Dead Redemption 2 the ability to dodge roll is vital in a game where bullets are coming at you from almost everywhere and getting to cover to save yourself before you get yourself into the line of fire and end up becoming like swiss cheese. 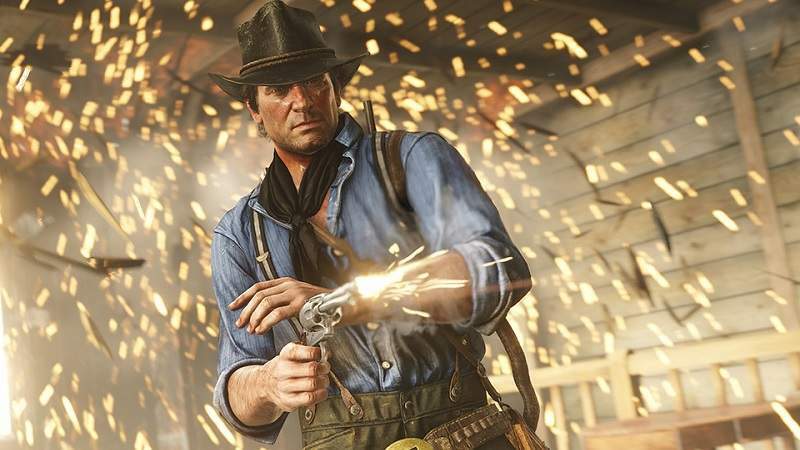 The makers of Red Dead Redemption 2 have not made it explicitly clear on how to do it, in other words, they have really have made a hash of it, but fret not we’ve found a way to ease it up for you. If you happen to check the controller setting you won’t find any designated button labeledas ‘dodge’, which made many players to believe that it was not possible for players to do so, when in fact there is. In order to throw yourself to the ground in the face of danger, all you need to do is aim your rifle using L2 (LT on Xbox), then press square (X on Xbox). Your character will jump in the direction your were moving. This works both in the single player portion and in Red Dead Online. It works best when you have to jump for cover or avoid a bison charging at you, but with this there comes a little bit of disadvantage to it as the character will need time to sort his feet again and you won’t have control over your character while doing so, to make matters worse it will also drain a bit of your stamina and if you keep on doing to repeatedly you will soon run out of your breath. There’s ups and downs to it but if carefully coordinated it can gain you advantage in a duel and give you the upper hand, make sure you keep an eye on the stamina meter too and once you master it you can be the most fearsome outlaw in the west. We hope this helps you in your adventure and be sure to check out other useful tips. Also check other Red Dead Online Tweaks, Tricks and Cheats only on Gamer Tweak.